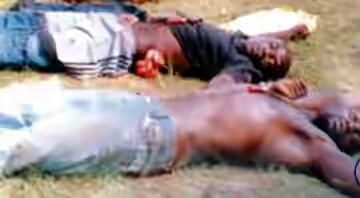 SECURITY operatives attached to the Delta State Police Command killed two suspected armed robbery kingpins in gun battle. It was gathered that the hoodlums were moving in a convoy apparently in an attempt to carry out armed robbery attack on residents of Warri at different locations before nemesis caught up with them. Kalu said the police suspected the movement of the hoodlums and chased them to Cemetery Road in Warri where the suspects engaged them in a gun battle. “Two of the suspected robbers were killed on the spot while two members of the gang were arrested. Others escaped with serious bullet wounds while the injured suspects are being treated in an undisclosed hospital to enable the police get more information and possible arrest other members of the gang,” she said. Kalu listed items recovered from the hoodlums as two vehicles, three handsets, two identity cards, two cut-to-size guns, 10 live bullets and five expended ones. The state PPRO said investigation was ongoing while the police were working towards arresting the fleeing suspects. Meanwhile, the Ozoro Progressive Union, Isoko North Local Government Area of the state has adopted strategies to tackle bandits terrorizing the community The President of the union, Mr. Clifford Anakpoha, had enjoined the people of the community to be watchful, saying protection of lives and property was imperative considering the spate of robbery in the community. Investigation revealed that Ozoro community and its environs had been under siege of hoodlums, including suspected cultists.